It's taken me exactly 3 years for me to review this beer. This beer was bottled at Dieu du Ciel! on September 28, 2015 at 2:20 PM, making it 3 years and 5 days old! When I first came across this beer just under three years ago, the guy on the label reminded me of Rob Ford a great deal. Well, he's no longer with us and I wanted to review this beer while Rob was still alive... but thankfully now his brother Doug is even more powerful. 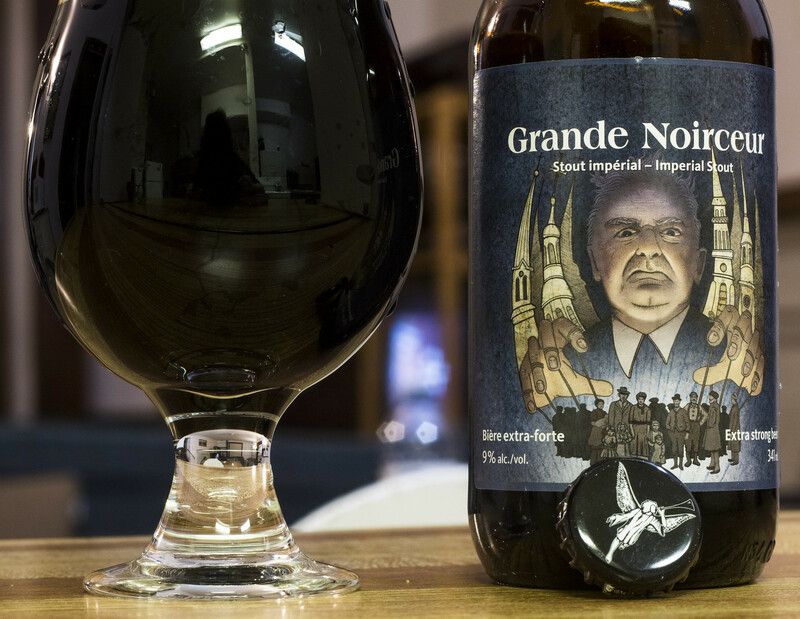 The guy on the label serious reminds me of Rob/Doug Ford and his control over government..
Dieu du Ciel's Noirceur is a stout with dominant malt flavours, sustained by persistent bitterness and caramel-malt tendency. Appearance: This is the first time I've enjoyed something by Dieu du Ciel! away from the brewpub in a while.. it's kind of strange somehow, yet nostalgic. 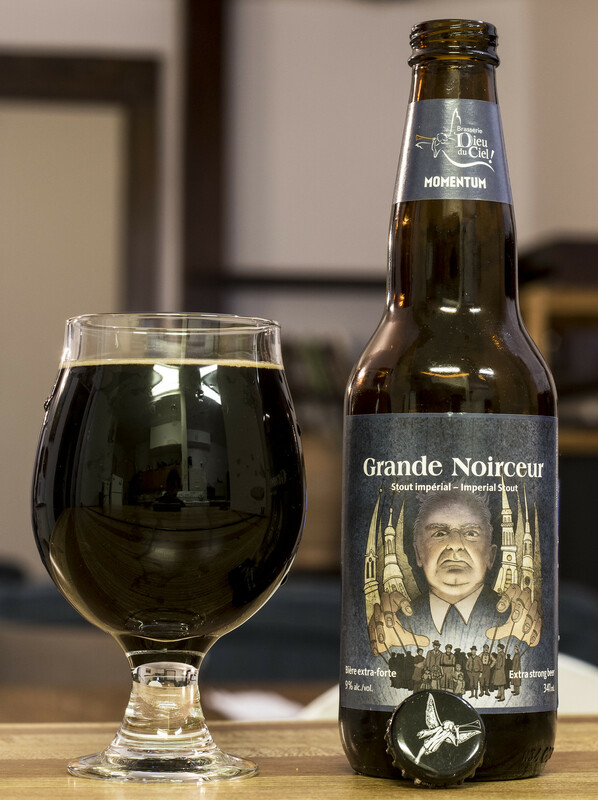 Grande Noirceur pours a thick dark stout with a moderate amount of burnt caramel foam on top of the beer. The head diminishes pretty quickly, leaving behind a few bubbles here and there.. and a great Imperial Stout for me to try! Aroma: Notes of burnt caramel, a bit of roasted malt to give off notes of coffee, dark chocolate and the smell of "pancake syrup" but obviously never actual "maple syrup".. that would never happen in a place like Québec. Taste: Dark, rich, caramel malt, burnt and earthy bitterness (and a bit of a coffee presence to it), There's notes of molasses, a bit of raisins, and a bitterness that made me gag a great deal until I had some water to drink. Overall Thoughts: « Grande Noirceur » was an expression for Maurice Duplessis' policies that took place during his Premiership during the 30s and 40s in Quebec. After recent elections, La Grande Noirceur may seem just as relevant with Doug Ford, François Legault and potentially one day Maxime Bernier more than ever.. This stout is rich, roasted, 9% ABV yet easy to drink..